The DnZ-Vibe® is a vibratory oral motor device specifically engineered to improve a variety of speech, feeding, and sensory skills. Its sleek, innovative design features a lightweight, aluminum handpiece with a tip on either end. The end with the Probe Tip is sealed off from the internal components so that no water, moisture, or saliva can enter from that end while working in the mouth. Turn the unit on/off by twisting the Switch Tip at the opposite end. The Switch Tip can also be replaced with another tip in order to use two tips simultaneously. Most people are either visual or auditory learners. Sometimes, however, these two senses are not enough, and we look to the sense of touch to teach certain skills. 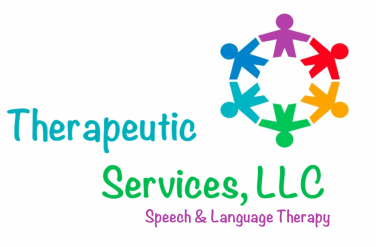 Speech-Language Pathologists (SLPs) have been trained to use tactile input to teach individuals how to lateralize their tongue, elevate their tongue tip, make a tongue bowl, close their lips, learn a rotary chew, position the articulators for sound production, and much more. The DnZ-Vibe is a tool to help therapists work on these skills in and around the mouth. Unlike other tools in the SLP toolbox, the DnZ-Vibe allows therapists to use targeted tactile input within the oral cavity to improve muscle tone and movement of the articulators. The DnZ-Vibe also takes tactile learning to the next level with the added bonus of vibration. It can always be used in the off position without vibration. Or, it can be turned on to vibrate. The vibration will provide a new level of sensory stimulation to increase oral focus and to draw more acute attention to specific movements of the cheek, jaw, lips, and tongue. The DnZ-Vibe is highly recommended for individuals with hyposensitivities and low oral tone. Its gentle vibration will increase oral awareness and provide much needed proprioceptive input to the lips, cheeks, tongue, and jaw. The DnZ-Vibe is also recommended for hypersensitive individuals. In these cases, vibration as well as the various scents/textures of the tips can gradually desensitize the mouth and decrease oral aversions and sensory defensiveness. Some individuals with Autism, Sensory Processing Disorders (SPD), etc. have inappropriate oral behaviors, such as self-biting or chewing on miscellaneous and sometimes hazardous items. Vibration is a very helpful tool for calming and organizing. The DnZ-Vibe's smooth vibration provides gentle sensory feedback to the lips, gums, tongue, jaw, and inside the cheek area. While it is mostly used inside the oral cavity, it can also be used outside the mouth on the cheeks, neck, and arms for additional feedback. Use the DnZ-Vibe with Bite-n-Chew Tips to develop and improve the oral motor skills necessary for feeding, including a sustained bite, rhythmic chewing, jaw strength and stability, and more. These tips are available in berry and citrus scents that simulate the smell of real food as well as extra long (XL) versions that can reach all the way to the back molar area. The Animal Tips can also be used to practice biting, chewing, and jaw grading and stability. The DnZ-Vibe provides a safe and effective way to work on the oral motor skills necessary to make speech sounds and to manage food. These skills include: lip/cheek/tongue awareness, lip closure, lip extension, jaw stability and grading, tongue and jaw dissociation, tongue elevation, tongue retraction and protrusion, tongue lateralization, and a tongue bowl. Using the DnZ-Vibe, therapists and caregivers can target specific movements within the oral cavity - physically demonstrating where the tongue, lips, and jaw should be for each skill. I am a parent/caregiver. Can I use the Z-Vibe at home? Absolutely! It is very important for parents to follow through with recommended therapy techniques at home. On average, children see their speech therapists 1-2 times per week, but you see your child every day! Accelerate learning by working on your child's therapy homework every day, several times throughout the day. Ask your therapist to explain AND demonstrate the exercises and to give you tips for making progress at home. *As a medical device that contains small parts, the Z-Vibe must be supervised at all times.